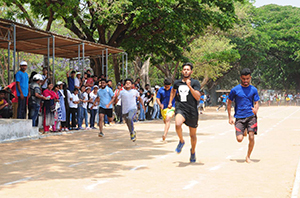 The mission of the department is to provide a broad spectrum of sports, recreation and leisure activities for students that stimulate growth, fitness and wellness, social interaction and leadership opportunities. 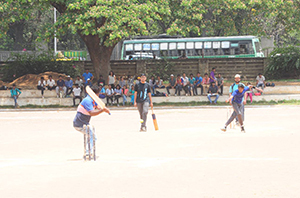 Department committed to provide excellence in sports & recreation services. 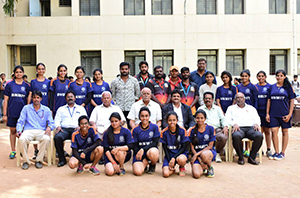 VTU Inter college Throw Ball (women) Bengaluru Zone tournament held at Vemana Institute of Technology in that we got 1st Place and also qualified inter zone. 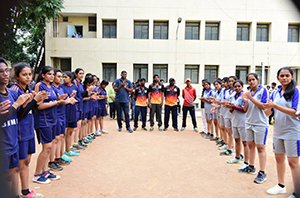 VTU Inter zone Throw Ball (women) tournament held at Nitte Minakshi Institute of Technology in that we got 3rd place. 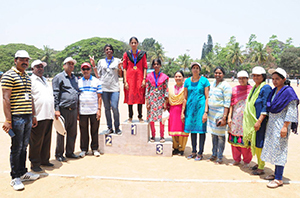 CMR State level Throw Ball (women) tournament held at CMR Institute of Technology in that we got 1st Place. 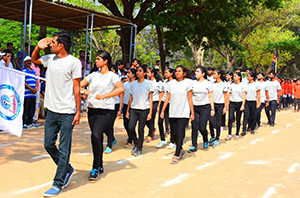 Athletic meet held at SJCIT Chikkabalapur in that our student got medal in marathon. 1. 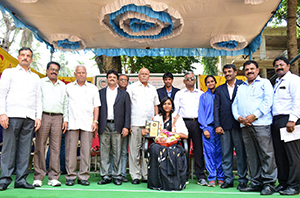 VEDANTH SIRIMALLA: I SEM ECE Represented VTU in TENNIS. 2. 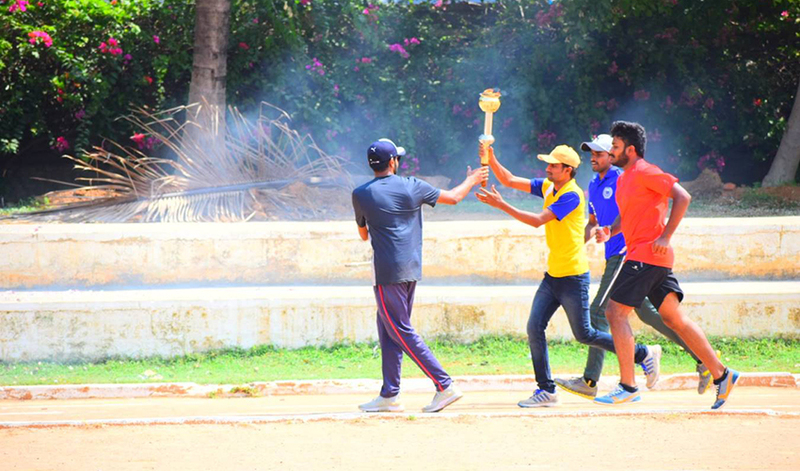 PRAJWAL: III SEM Represented VTU in Athletics (marathon). 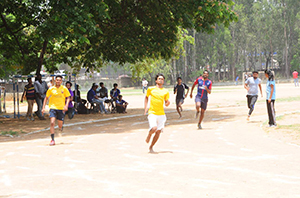 Outdoor:Volley Ball, Throw Ball, Kabaddi, kho-kho & Net Ball. Indoor: Chess, Carom and Table Tennis. 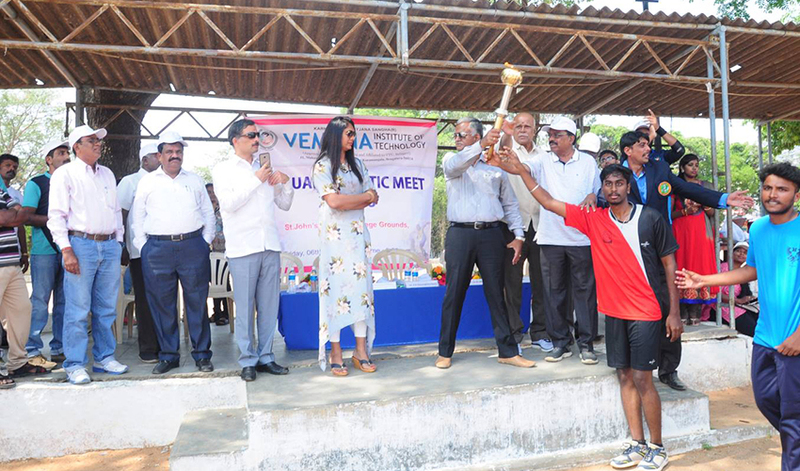 Annual Sports Meet “ Vemana Kreedotsava” was held on 31st October 2018 at St. John ground, Ms. Karuna Vijay Kumar Jain - International cricketer was the chief guest for the inaugural function. Sri. H. N. Vijayaraghava Reddy - President, Sri. Muninagappa - General Secretary, Sri. N. Shekar Reddy - Join Secretary, Sri. K. M. Krishna Reddy – Treasurer, Prof. Sadashiva Reddy - Member, Sri. H. C. Shyamanna Reddy – Chairman, Sports & Culture committee of KRJS have graced the occasion. 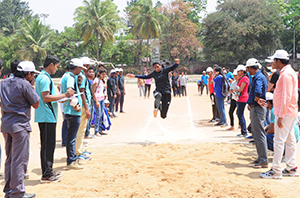 The competitors participated with great excitement in the track & field event such as 100, 200, 400, 1500mts, and discuss, shot put, long jump for both boy and girls, the prize were distributed to winners. 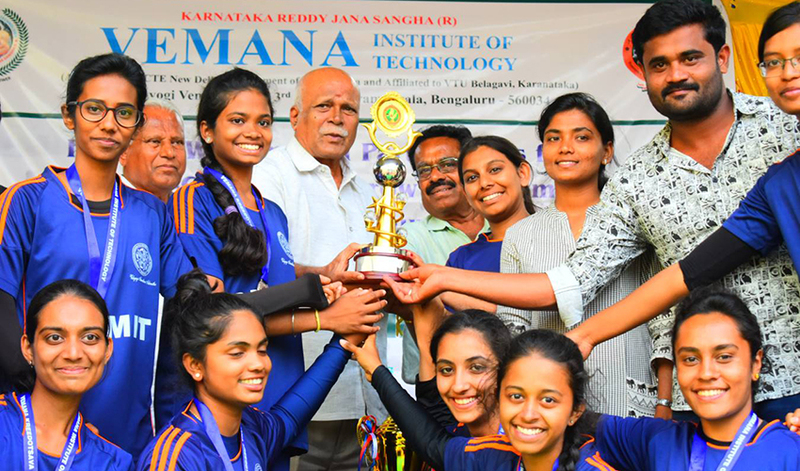 Vemana Institute of Technology has organized VTU tournaments i.e., Volley Ball, Throw Ball, Chess, Mallakhamba, Gymnastics, Taekwondo etc.